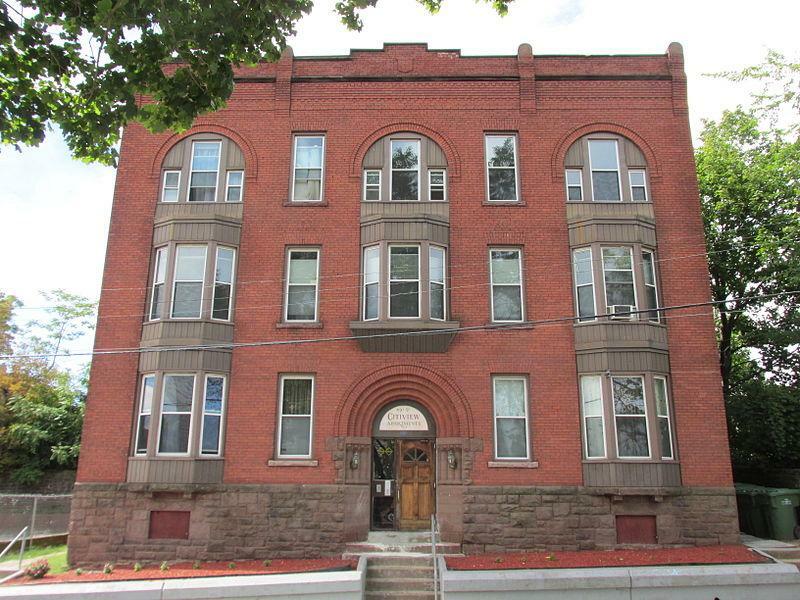 An apartment building on Spring Street in Hartford. Homelessness is up in Connecticut by ten percent since 2010, says the Partnership for Strong Communities in a report, attributing the problem to lack of supply and high prices. Many renters are spending "an unsustainable half" of their income on rent, the report states. 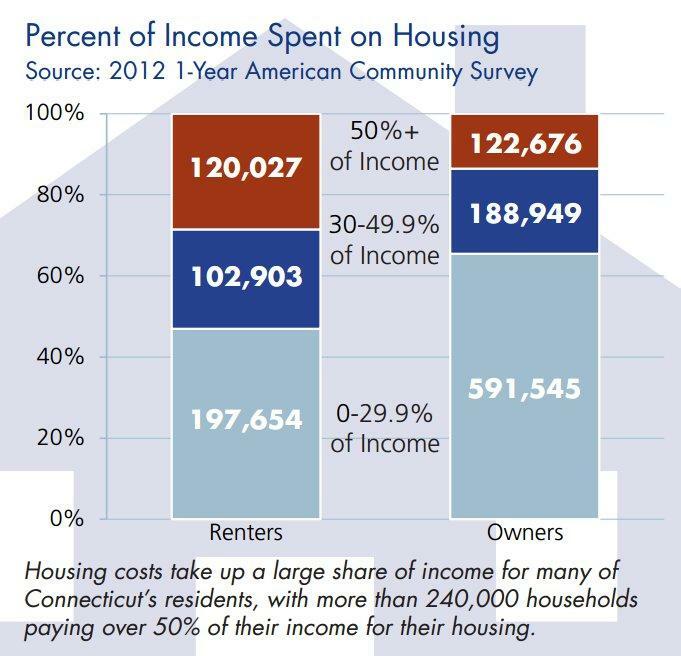 Two in five of Connecticut households spend over 30 percent of their income on housing. The state's wealth disparity is stark, second only to New York's, says the report. Housing prices are driven higher for low- and moderate-income households as a result of the disparity. 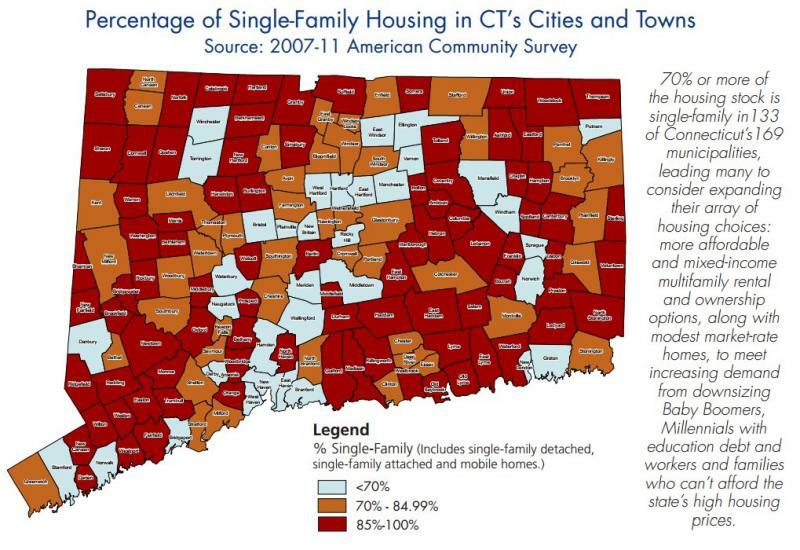 A new report from the Partnership for Strong Communities, a housing advocacy organization, says that Connecticut continues to suffer from a lack of affordable housing. The report says that homelessness is up in the state, as is renting. 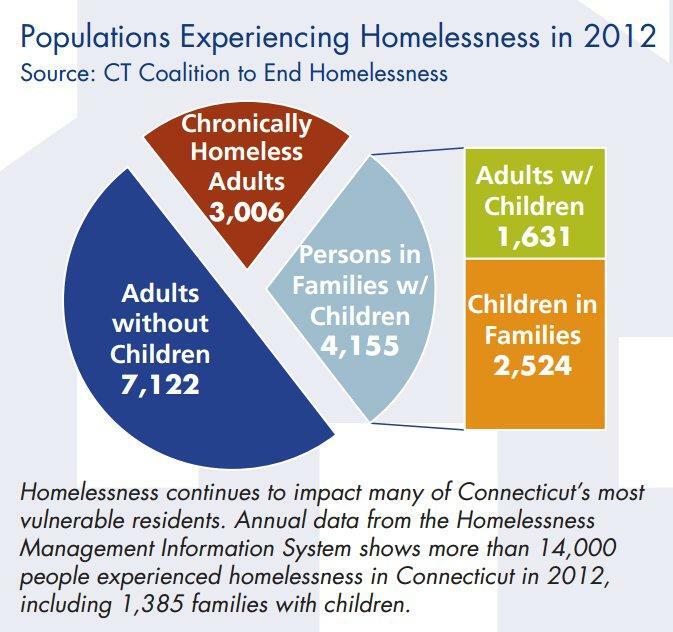 Since 2010, homelessness in Connecticut has risen by ten percent. More households in the state are turning to rentals, now at 33.1 percent of the market, up from 30 percent in 2006. David Fink, the organization's policy director, said, "The problem is that in Connecticut, housing is too expensive, and too scarce. Too many people have to spend too much for housing. That's bad for them, and it's bad for the state's economy." The report says that 40 percent of the state's households spend more than they should -- over 30 percent of their income -- on housing. "Housing is the foundation of opportunity," said Fink. "When so many households lack an adequate, affordable home, they hit an economic dead end." "We have to create more," Fink said of the need for more affordable housing in the state. "More supply. More supply will bring the cost down. We have to put it in the right places. We have to put it near transit. We have to put it in town centers." The report notes that between 2011 and 2012, according to U.S. Census data, there was a 30 percent increase in permits issued for new apartment buildings. The Partnership for Strong Communities wants to know if you can find an affordable apartment in expensive Connecticut. Their new video game, Rent Roulette, allows you to role play. "Maybe you'll land a job that allows you to live where you want," they say. "But maybe, you’ll be like so many in our expensive state, and have to settle for something less." The game was designed by Ed Hogan of Manchester Community College, and includes real-time housing and labor data for Connecticut. 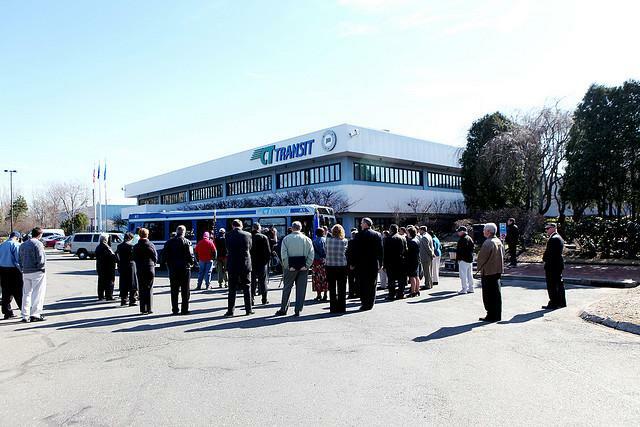 A new report says almost all low-income residents in Connecticut's biggest cities have access to public transportation. But those buses, shuttles and trains are often too infrequent to get them to work. After two years of crunching data, Alan Berube was surprised to find that nearly 70 percent of people in America's metropolitan areas have access to public transit. That's true in Connecticut too. But "access" here could just mean a bus runs down your street every half hour.